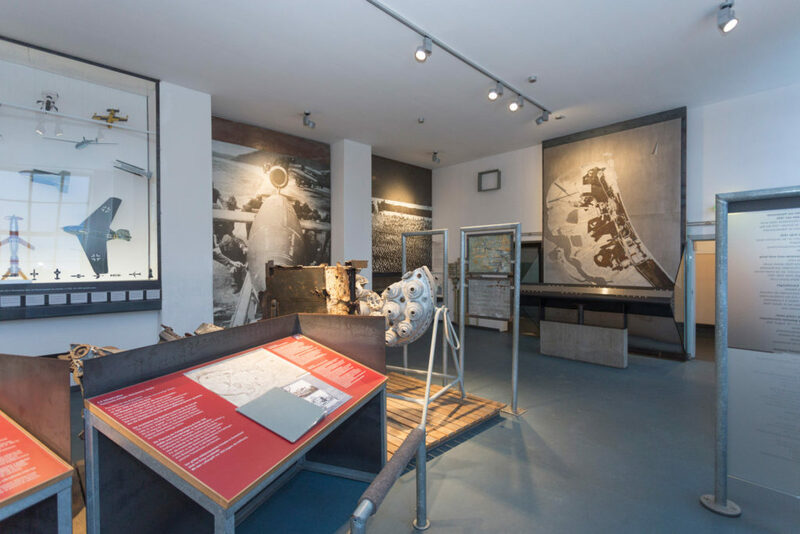 The permanent exhibition in the transformer house annex of the Peenemünde power plant presents the history of German rocket technology, from its utopic beginnings in the 1920s to the work in Peenemünde and the mass production of A4 rockets in Mittelbau-Dora and their use against large towns and cities in Western Europe. A second section traces the history of the technology developed in Peenemünde during the Cold War up to the year 2000. 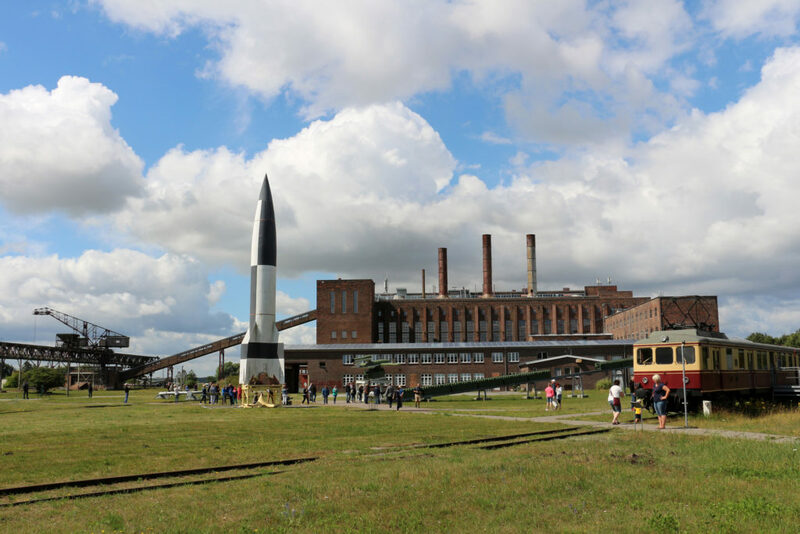 The two most important weapons of the Peenemünde test sites, the Fi103/“V1” cruise missile and the A4/“V2” rocket, can be seen, as well as other large exhibits as replicas in the outdoor areas. The power plant itself is the last remaining complete building of the Peenemünde research stations and conveys the industrial nature of the work during the armament projects. The whole building is designed as a freely accessible monument. At interactive media stations, the construction and function of the power plant are visually displayed. In the boiler house there is also an exhibit on the history of the power plant, its construction and its use until 1990. A glass elevator leads to the viewing platform on the roof of the power plant. 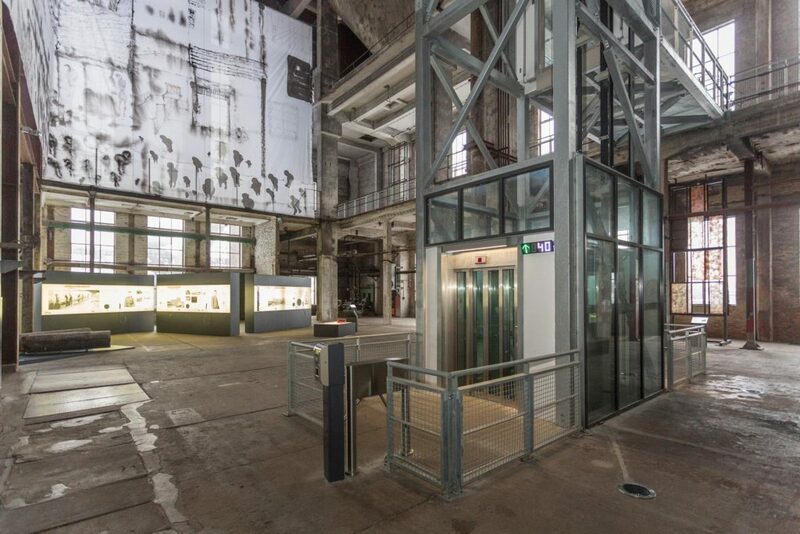 From there, visitors can look out at a height of 30 metres over the spatial dimensions of the former armament facilities and the complexity and monstrosity of the Peenemünde project that the exhibitions can only insinuate.